Big Change Advisors / Corporate Philanthrophy / Combatting Homelessness: Are Shelters the Answer? Everybody thinks we should have them, but no one seems to want them: The struggle to create temporary shelters to address LA’s homelessness continues. An additional $20 million has been allocated to get these temp shelters established, but barriers present at every stage. With so much political strife surrounding them, will they ever be built, and will they ever be effective? What’s happening is that two years ago, Los Angeles approved a $1.2-billion bond measure that would go to providing new housing for homeless people. 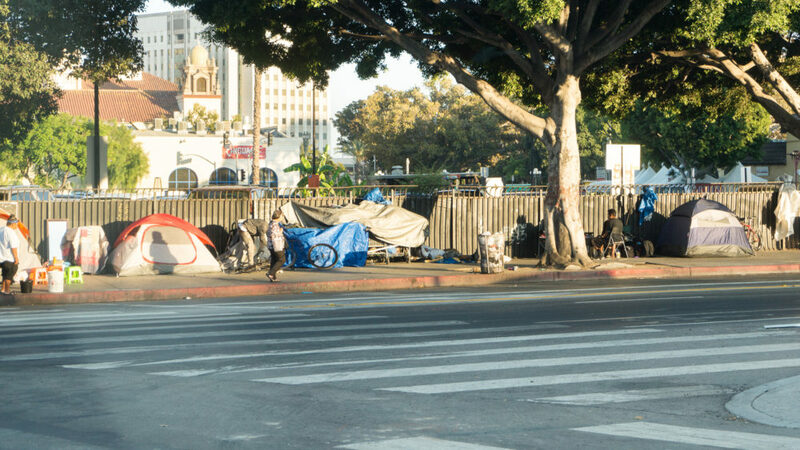 In the meantime, while those plans take hold and housing is built, Mayor Garcetti offered more funding for council districts to set up temporary housing to shelter up to 100 people at a time, in the hopes of ending encampments and getting people off the streets. Surveys find that nearly 70% of respondents in LA support having housing for homeless people in their own neighborhoods. But, the question drawing controversy now is: Where to build these temporary sites? From Koreatown to Venice, the arguments are getting heated. The LA Times reports that those in favor say temporary shelters provide an alternative for homeless people to living on sidewalks. And if we don’t provide shelter, encampments will increase. But in places like Koreatown, opponents say the proposed temporary shelters will be placed near business and schools, and will continue a “long history” of sidelining the Korean American community. In Venice, opponents say that there will be a disproportionate number of shelters in their neighborhood compared with other neighborhoods in the district. Some argue that putting a shelter in a dense neighborhood would not help homelessness, and will only attract crime and more homeless individuals. Others argue that without the shelters, the issue of homelessness will be here to stay. A temporary solution? A good solution? Despite the locations of these shelters, another question is will they work? Some say they are only a drop in the bucket. Some question how temporary the temporary shelters will actually be. And that even if you house some of the homeless, there will still be hundreds more on the streets. Citing that only “a fraction” of homeless people will find room in the shelters, they say that the crackdown on those left on the streets will only increase, leading to further criminalization of homeless people. Still another issue: Would the homeless stay in the temp shelters even if there were room? The LA Times tells of one homeless gentleman who had been to a shelter once and hated it, saying it was overpacked, smelled bad, and had terrible food. 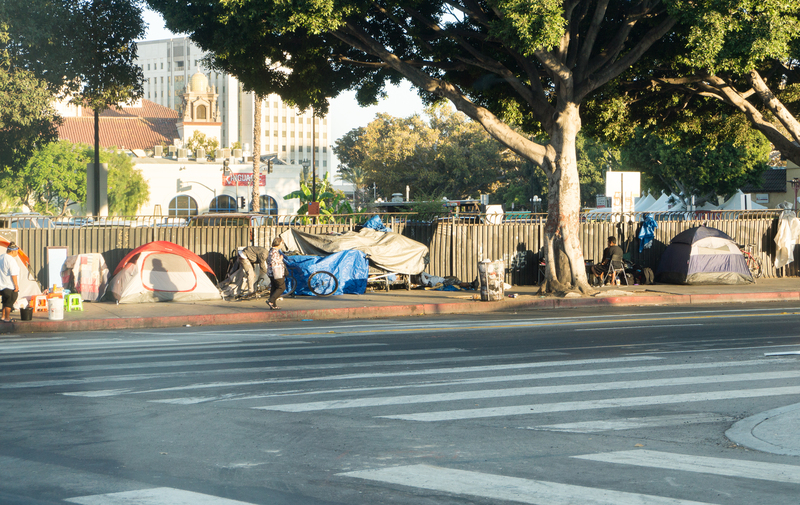 Meanwhile, LA’s homelessness crisis remains a “national disgrace.” There are more than 57,000 people who lack a safe place to sleep at night, and fewer than 1 in 10 of them are on Skid Row. Funding has been sought and identified, but solutions still need to be built. The issue of homelessness continues in politics, in backyards, and on the streets, affecting not just the homeless, but homeowners, children, politicians, and long-time neighborhood residents. And the need for emergency support, long-term rehabilitation, and treatment for mental illness and substance abuse for many is only increasing.